Miragreen Pea | Gurney's Seed & Nursery Co.
Miragreen is a prolific variety that produces loads of dark green pods and will continue to produce for weeks to come. Miragreen produces 4- to 5-in. pod contains 8-10 plump, sweet peas, enough for canning, freezing and fresh eating. 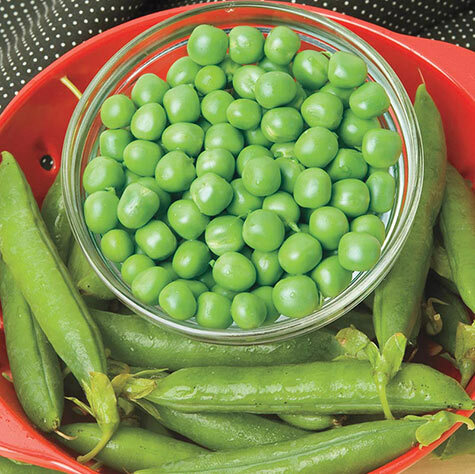 Heat-tolerant, Miragreen peas remain tender and delicious throughout the entire growing season. Vigorous 4-ft. vines require only a support on which to climb. 68 DAYS.